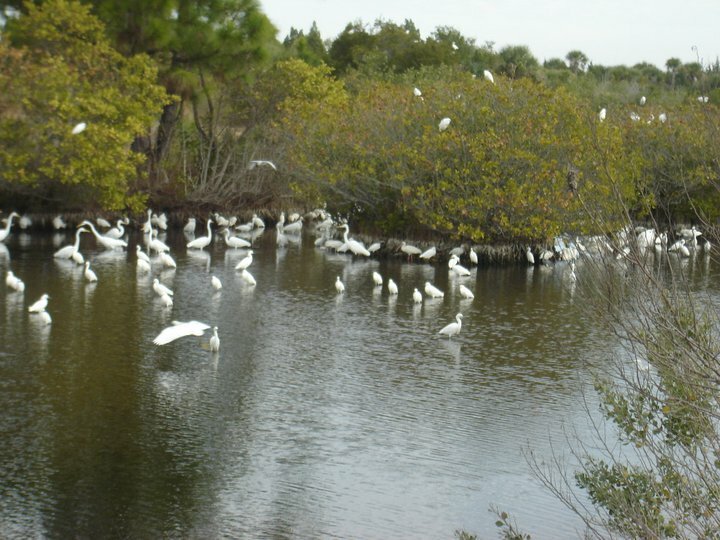 More than 20 years ago my friend Lisa, an avid bird lover took me to the Merritt Island National Wildlife Refuge. This extraordinary 140 thousand acre sanctuary is an incredible retreat from the hustle and bustle of cars, computers and even cell phones, if you leave them in the car. 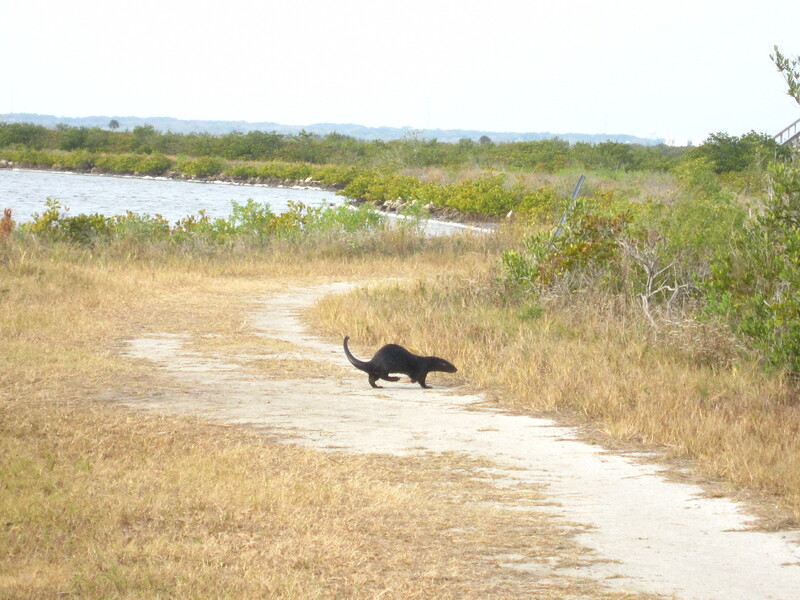 Lisa and I especially enjoy hiking the 5 mile loop at Black Point Wild Life Drive. A self-guiding brochure (available near the drive entrance) provides information on things to look for. One to two hours after sunrise and one to two hours before sunset are typically the best times to view wildlife actively feeding in the impoundments. Driving time is approximately 40 minutes. Lisa, mother and I are planning a bird tour, it’s the height of the season and we hope to see a flock of Lisa’s favorites, the White Pelicans. Who knows we might even get to see the otters scampering across the road again. None the less, we know nature will be enjoyed, along with relishing serenity in the peace and quiet. 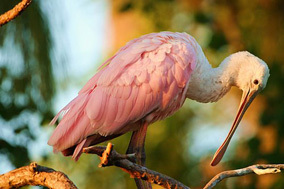 We invite you to explore the beauty and wonder of the Merritt Island National Wild Life Refuge. Who knows, you might see the otters too!